When Should You Lock-In Mortgage Interest Rates? After spending weeks or even months shopping for a mortgage loan, you have finally found something that suits you: a mortgage loan with a great interest rate and low upfront costs. Fast forward a few weeks and right before closing on the loan, the interest rate increases all of a sudden. This isn’t the lender trying to scam you; it’s just the way things work. The latest mortgage rates can fluctuate, sometimes significantly, from one day to another. This can be avoided by locking in your mortgage interest rate. 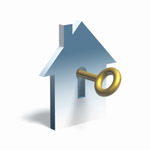 What is a Mortgage Interest Rate Lock? By locking in your interest rate, you are guaranteed the interest rate that your lender has quoted you when you applied for the mortgage loan. Even if your loan application is still being processed, by locking in the interest rate, you will make sure that you won’t be caught by surprise if the rate increases in the near future. Of course, the interest rate can also decrease, which means that you will be missing out on a lower rate if you lock-in early. The lender will lock in the interest rate for a specified period of time if you ask him. Typically, the interest rate can be locked for periods between 15 and 60 days. The shorter the lock period, the less risk there will be for the lender, meaning that you will receive a better interest rate. Make sure you understand what the difference between an interest rate quote and a rate lock is. The interest rate quote is the estimate given by your lender of what your rate will be. The rate quote will be affected by any changes in interest rates that happen on the market. Your income and credit score can have an influence on the rate that you were quoted, meaning that the interest that you will be paying on your mortgage will most likely be different than the percent that your lender has quoted. If you lock-in your interest rate, the rate won’t change during the lock-in period, no matter what happens in the market. The loan process can take a fairly long time, so having all of the necessary documents ready is very important when locking-in your interest rate. Rates can be locked for 2 months or even more, but if the loan is not closed during that period, the interest rate lock expires and the rate that was agreed upon is no longer valid. By doing a little research, you can find out how long processing a loan typically takes in a certain area and plan accordingly. The interest lock-in must be in writing. In the written agreement, all important information much be enclosed, such as your name, your lender’s name, the loan amount, the interest rate that is being locked-in, and the lock-in terms and fees. Make sure you read and understand everything that is written in this document, including the fine print. Some lenders provide an option that helps you get a lower interest rate if it becomes available during the lock-in period. If your lender has this option available, you should take it, but be aware that you will most likely have to pay a fee, and you will only be able to use this option once. This option may also force you to take a higher interest rate if the rates increase. You can lock-in your mortgage interest rate as soon as your loan is approved for the first time, but most people will wait until they find a home. There could be a few weeks between the time you get approved for a loan and the time when you actually find a home that you are willing to buy, so locking in only after that will reduce the chances of the lock-in expiring before the loan is closed. Also, a larger interest rate lock costs more, with 60 days locks costing around 1 percent of the total loan amount. Because interest rates can increase or decrease at any time, there is no perfect time when you should lock-in the interest rate. The only way you can predict an interest rate increase or decrease is by researching forecasts, but interest rate forecasts are not always accurate. Locking-in early is generally the better choice, if you are happy with the interest rate that your lender has quoted you, especially for those whose budgets can be severely affected by even a slight increase in interest rates. What is most important when locking-in an interest rate is that you work with your lender to determine if your loan will be able to close before the interest rate lock-in period expires. Deciding when to lock-in the mortgage interest rate is not an easy choice to make and can end up causing you a lot of headaches and stress. Locking-in before the interest rates increase is great, but they might also decrease, in which case you won’t get to secure the lower interest rate. On the other hand, not locking-in before the interest rates increase will cause you to lose money, and can even cause you to not qualify for the loan anymore. No one can know when the ideal time to lock-in your interest rate is, so if you are satisfied with the interest rate that you receive initially, it is better to lock-in early, rather than take the risk of rates going up in the future. You’ve decided to move to a new home and you are ready to make an offer. Unfortunately, you need to sell your old home in order to be able to buy the new one. You won’t be able to pay for a new mortgage loan before selling your current home, so you basically have only two options: a bridge loan or a home equity line of credit (HELOC). Both the bridge loan and the home equity line of credit have advantages and disadvantages. It depends on your individual financial standing if one or the other is right for you. Before deciding on which one to choose, let’s go through a few of their advantages. 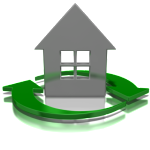 The bridge loan can be borrowed against the equity in your old home. This is possible while the house is listed, unlike with the home equity line of credit, where the financing must be set up before listing your current home. Not required to make any monthly payments until your current home is sold. This is unlike you would on a home equity line of credit. The balance on the bridge loan, as well as the interest, is paid at the time the old house is sold. The interest rate and fees are lower than on a bridge loan. The downside, as we mentioned earlier, is that you must take out a home equity line of credit before listing your current home for sale. This means that you should plan ahead if you want to use this type of financing. With this type of loan you also have access to funds in the future, without reapplying. These funds can be used for home improvements or repairs, and other recurring expenses. At first glance, it seems that the home equity line of credit is the cheapest option when it comes to short-term financing. In the end, your personal finances are the most important factor in determining if a bridge loan or a home equity line of credit is the right choice for you. Also known as a swing loan, or interim financing, a bridge loan is a type of very short-term loan that is normally given out to an individual or a business until they can secure permanent financing. Bridge loans are commonly used in the housing market, and are generally used by home buyers who are buying a new home when their old home is still for sale. Bridge loans feature fairly high interest rates and must be backed by collateral, such as your home. When you use a bridge loan to purchase a new home, but your old home is still on the market, the current home is used as collateral, and the funds from the bridge loan are generally used as a down payment towards your new home. In this case, the bridge loan will be repaid when the old home is sold. Bridge loans are short-term loans. Most conventional loans are designed for people who want to pay for a mortgage or college tuition, and require you to pay the loan off over a long period of time. A long-term loan will increase your risk of suffering some kind of financial issue. Bridge loans, on the other hand, are designed to be paid off in full before you receive the long-term loan for your new home. The option to choose when to repay the bridge loan. Bridge loans can be repaid before you receive the long-term mortgage loan needed to buy a new home, or after receiving this loan. If you repay the bridge loan in full and on time before you receive the new loan, you will significantly increase your credit score, allowing you to qualify for more mortgage loan options. No set qualification guidelines. Bridge loans don’t come with any set limits or qualification guidelines, like a conventional loan would have. 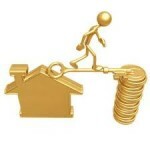 Bridge loans can also be turned into regular mortgages by the lender. Larger payments and penalties. Being short-term is an advantage that bridge loans have, but this may also be regarded as a disadvantage. Repaying the loan in a short period of time means that the monthly payments will be larger than with a conventional loan. Lenders are also stricter when it comes to late or missed monthly payments on a bridge loan. The fees and penalties are larger for a missed payment on a bridge loan than for missed payments on a conventional loan. Dependent on more permanent financing. You may rely on the mortgage loan that you are applying for in the near future to repay the bridge loan, but there are no guarantees that you will receive that loan. In case not everything goes as planned, you will have to repay the bridge loan from your own pocket. Another choice would be to take out a new loan in order to pay the bridge loan, but that could lower your credit score, create new debt for you, and ultimately make it harder for you to receive financing for a new home. Before deciding on a bridge loan, make sure that you understand what your rights and responsibilities are, and carefully weigh in on both the advantages and the disadvantages of this type of loan. Your financial situation is the most important factor to be taken into consideration before deciding which path to take. With lending institutions turning down 50% of all potential home buyers due to unsatisfactory credit scores, insufficient incomes, and high debt obligations, it is a good idea for borrowers to seek pre-approval to make qualifying more favorable. Getting pre-approved is the best way to know where a borrower stands in the loan qualification process. A preliminary lender can evaluate creditworthiness by requesting income, savings, debt obligations, credit reports, and credit ratings to be followed up by the lender’s appraisal regarding approval status. If qualifications are met, the amount considered for funding is also offered. Loan pre-approval will get you one step closer to being a home owner! Access and Repair the Credit Reports – Evaluate the reports from each of the three credit bureaus for accuracy, checking every detail and entry for verification and correctness. Take any necessary steps to correct any mistakes affecting a lender’s decision. Take sufficient time to accomplish this important step before approaching any lender to put the credit status in the most positive framework. Gather All Required Documentation – Along with the pre-approval or loan application, there will be numerous documents required for inspection by the lender, including proof of current and past employment via pay-stubs, existing loan documentation, credit card bills, banking statements, social security numbers, and telephone and email contact addresses. In addition, there will be requests for verification of current residency as well as a list of previous addresses and length of time lived in those locations. On top of this will be questions regarding the number of dependents, annual income, and a list of all assets including property owned, checking and savings accounts, as well as any stocks, bonds, and retirement accounts. The pre-approval process can take anywhere from one to two weeks for complete evaluation and response from the lender. Naturally, depending upon how complete the documentation was provided, and how complex the finances, determines the response time. In addition, if the loan pre-approval is granted, it will have a 30 – 90 day time limit stipulation attached to the lending offer. When home buyers or mortgage loan hunters set out to initiate the borrowing procedures to accomplish this task, they invariably try to arm themselves with a bit of negotiating advantage by getting a pre-determined evaluation on their chances. Usually they have preconceived ideas regarding the term ‘prequalified’ and ‘preapproved’ when presenting their credentials to prospective sellers and real estate agents. In the home-buying and mortgage lending world, these terms are quite different. This classification refers to the estimated amount of a mortgage a lender would offer after performing a preliminary investigation regarding a borrower’s current credit status, as well as the overall asset and liability figures presented for evaluation. This information is unverified at this stage, and yields only an estimate of the funding available until further inquiries can be performed. This preliminary status does not indicate a predetermined or ‘approved’ line of credit has been offered by the lender. 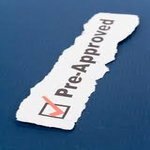 Prequalification is a term used to describe what a potential lender might approve for the mortgage loan, and is only based on the validity of the unverified information provided by the borrower. It is a basis for the borrower to begin shopping for a home in the general framework of affordability. This classification describes an evaluation that is further along in the loan acquisition process, though it doesn’t represent the lender’s complete and documented commitment toward a borrower’s final approval for the loan. Once a full credit evaluation is completed after acquiring the necessary reports from the credit bureaus will the lender finally commit to providing a mortgage estimate in writing. In recent years, there has been far more scrutiny directed toward complete verification of the stated asset and income figures a borrower provides before a ‘preapproval’ status will have much credibility. Therefore, until a complete application process has been initiated, a lender is not genuinely bound by the preapproval notification to actually honor any real terms in the preliminary agreement. Not until an application is officially filed will a prospective lender get serious about investigating a borrower’s true financial integrity.